Providing you with a secure way to fasten and collate papers, these staples are essential for the smooth and efficient running of any office. With a high quality construction, you can be sure that your staples will remain fastened, preventing the loss of your information for accurate filing. 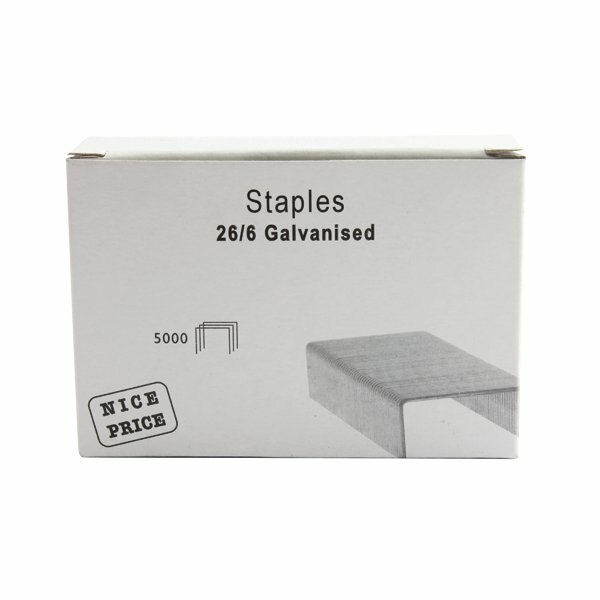 These staples are designed to work with your stapler without any difficulty, to help prevent jams or blockages in your stapler.